This week I transformed some monoprints into greetings cards and wrapping paper. Continuing to experiment with simple shapes and utilise texture within the Hawthorn Inks. I am happy to say that The Hedgerow in Threshfield are now selling a selection of my greetings cards. They are screen printed by my own fair hands in Yorkshire. Please take a look at their website. I have been experimenting with simple stencils and block colours on the screen printing bed, whilst working at WYPW. I will pursue this by exploring different stencilled shapes, looking to artists such as Matisse for inspiration. 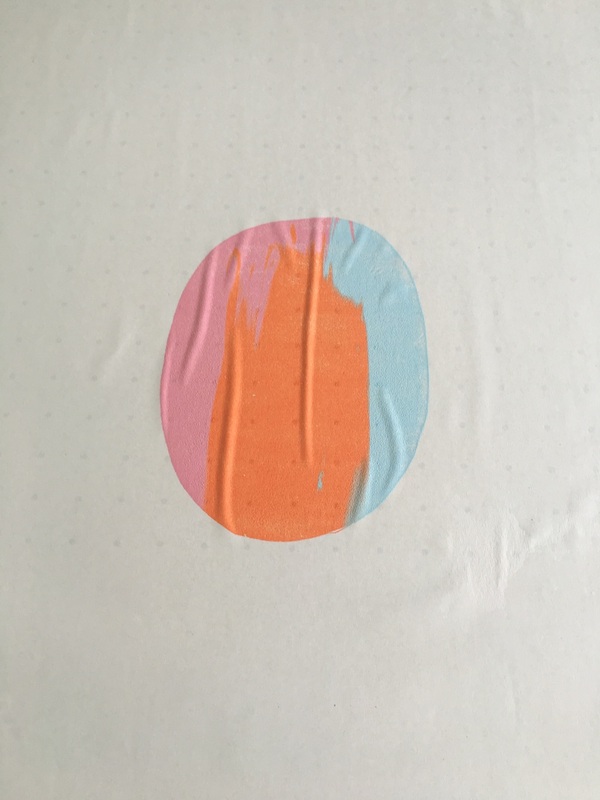 Starting with two to three colours produces unexpected vibrant blends of colour- it's great to see the happy accidents that can be achieved! Ade Adesina was born in Ibadan, Nigeria, and now lives in Scotland. He predominately works within Etching, Woodcut Print and Sculpture. Ade is concerned with the environment and climate change. 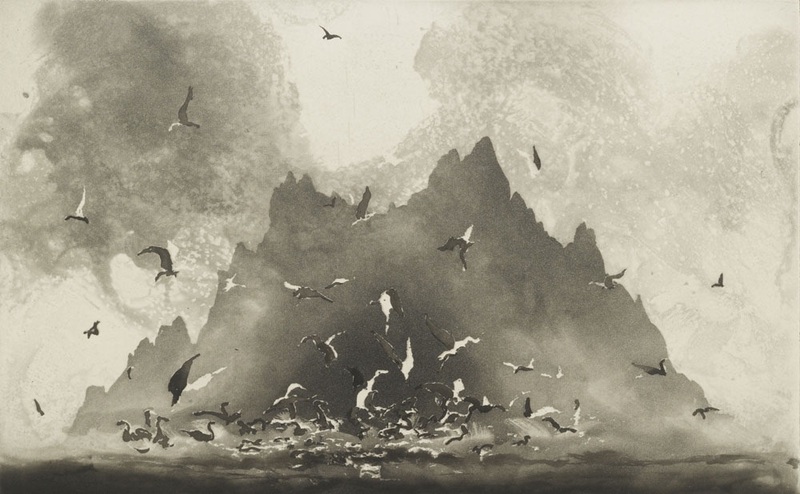 His compositions feature grand scenes of nature, sometimes contrasted with natural destruction. The flora and fauna, trees and landscapes are bold but finely detailed with fluid and varying textures and markmaking. All images are copyright Ade Adesina. This is a book of dark beauty, a testament to the very best of photojournalism in the 60s and 70s. It gives a rare insight into the transformation of ‘The North’ recorded simultaneously with the birth of colour photography in the British press. Few books reveal the immense difficulties faced by the working people of the North so successfully. Bulmer presents the infectious spirit of working people across a bleak cruel landscape. The shipyards, collieries, steelworks, dark mills and terraced houses are depicted magnificently in this evocative historical archive. Net curtains, pit ponies, flat caps, donkey jackets and corner shops abound. If you grew up in ‘The North’ this will evoke memories, sadness and amazement at what has been lost. I discovered the work of Henri Gaudier-Brzeska (1891–1915) only today when visiting the Tate website. 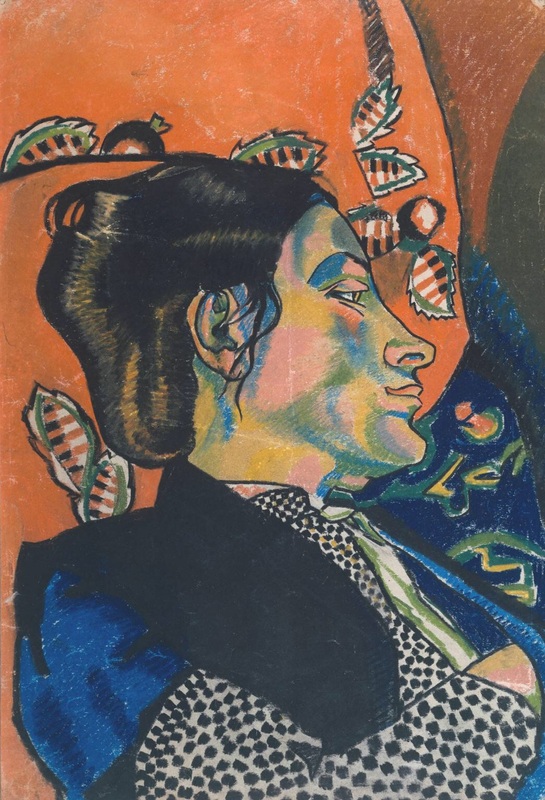 I particularly like this picture, Sophie Brzeska, painted in 1913. I find the choice of colours and shading around the face distinctive and interesting. It also reminds me of Picasso. I am very interested in colour choice as I sometimes struggle with this area in my personal work. This piece is featured in the new DLA Piper Series: Constellations at the Tate Liverpool. The exhibition centres itself on the links between artists and artworks. I must go! All images copyright Tate Liverpool. Today I was lucky to meet Emma Lawrenson, a lovely, chatty lady but also a talented and accomplished printmaker. A Yorkshire Lass like myself, she also takes inspiration from the beautiful surroundings of Yorkshire. Please take a look at her stunning work here. Jean Jullien is a french illustrator represented by the Handsome Frank Illustration Agency in London. For me, the illustrations are charming, witty and funny. I love the colour choices and the messages which are communicated with such humour and simplicity. Here is a new addition to my portfolio: I hope that you like it. 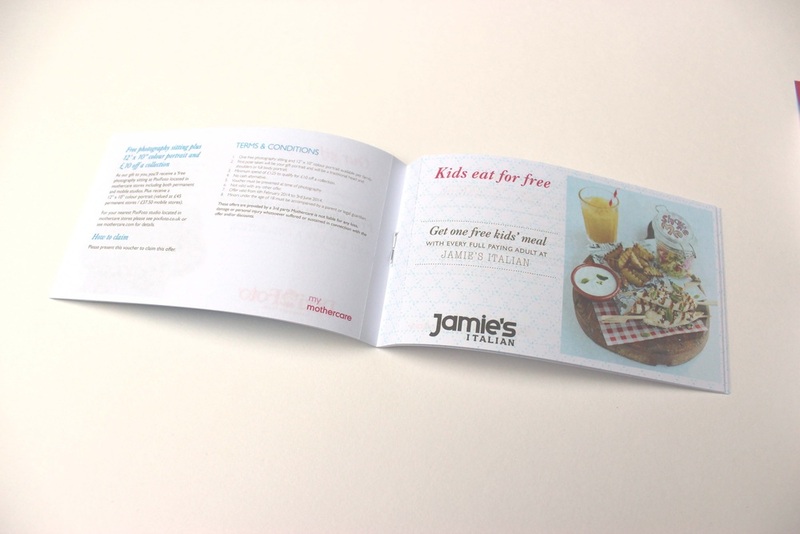 The brief was to create a customer reward scheme for Mothercare shoppers. The aim was to create a pocket-size package which included a booklet of vouchers and a pre-natal and post-natal checklist for mum. I wanted the design to feel cosy and cheerful. I also included unusual facts about pregnancy and young children to add a touch of humour and fun. 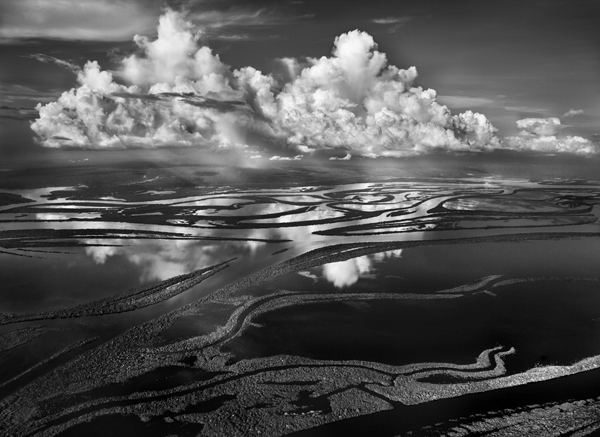 Sebastião Salgado: Genesis is currently on show at the Natural History Museum, London. The exhibition reveals extraordinary photographs of wildlife, remote tribes and majestic landscapes. I highly recommend this exhibition, especially to photography or nature enthusiasts. 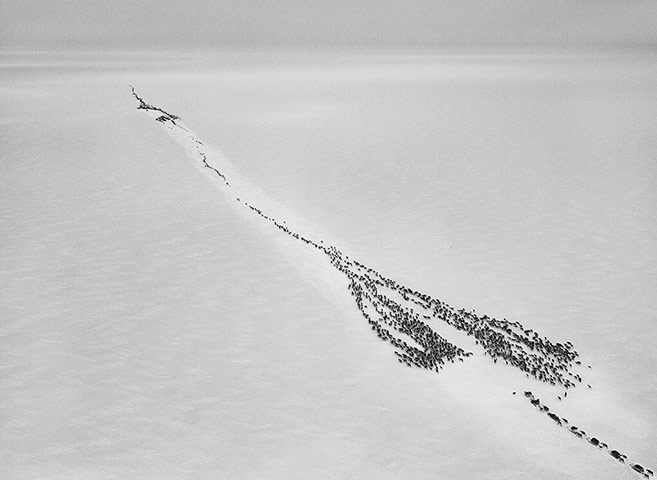 Salgado spent over eight years documenting some of the most primitive and isolated locations on the planet; the outcome is a striking and mesmerizing photography collection. This inspiring body of work captures the fragility of the planet and our duty to conserve and protect it. I doubt that anyone will leave without high admiration of Salgado’s perseverance to create remarkable photographs in challenging environments.